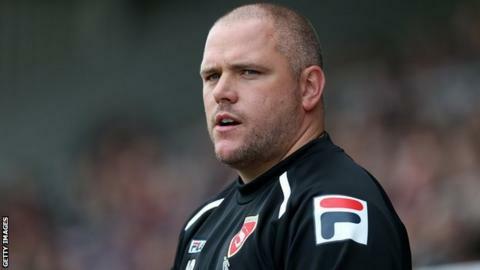 Morecambe manager Jim Bentley has expressed his concern with the League Two club's attendances. Despite the Globe Arena having a capacity of 6,476, Morecambe's average league attendance this season is 1,551. "I'm a bit disappointed with the attendance", Bentley told BBC Radio Lancashire after the Shrimps' 3-1 victory over Crawley on Tuesday. "This club needs its community behind it, without them it's going to be hard to sustain a Football League club." He added: "1,098 for a home game when you're two points off the play-offs and the country's leading goalscorers, what more can you do? "I can't get someone in the road and put them in a headlock and drag them through the turnstiles, it's down to them."